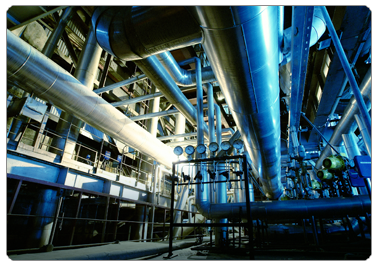 Industrial manufacturing pest control is important if you run a large company. Many of your processes are probably automated and computer controlled but have you considered the risk of a mouse gnawing through one of your cables? 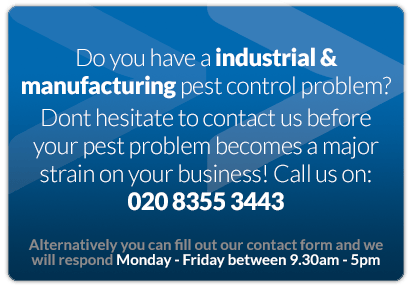 Beaver Pest Control London offer an industrial manufacturing pest control service! Does your disaster recovery plan cover this? Industrial sized manufacturing businesses were historically run from old buildings and many suffered from infestations of rats and mice because they could easily find their way inside to escape the cold. Putting up with an infestation is no longer acceptable. The old buildings are gradually disappearing from London and these days many manufacturing companies are set up in purpose built buildings but the chances are that your main warehouse door is still open all day. 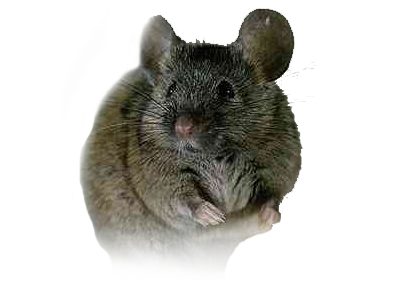 You are still at risk from rats and mice coming in and there will always be enough food around because mice only need to eat 3 grams a day and do not even need to drink. 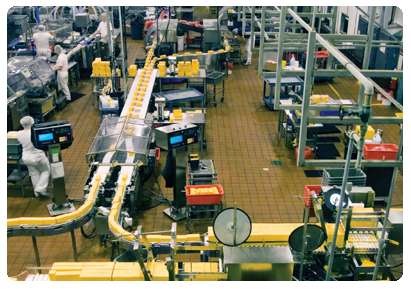 Industrial manufacturing pest control by a professional Company will protect you. You probably have very high standards of training in Health and Safety for your staff due to the potential high risks of injury from lorries backing up into the dispatch bay or fork lift trucks driving around. There will also be risks from the machinery, conveyors, wire conduits, motor housing units, industrial tools and maybe even from the product you are manufacturing. Your staff stick to strict guidelines. Therefore when you employ an industrial manufacturing pest control company you need to be confident that their staff also have a professional attitude and the aptitude to understand. 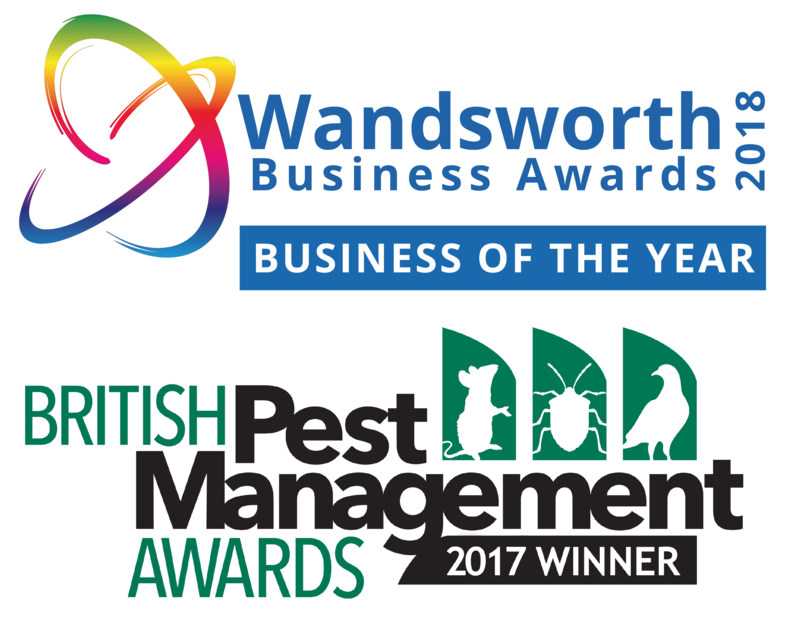 Beaver Pest Control london have been established since 1990 and have many staff who have gone through various induction training schemes with a number of different companies. They have a vast amount of experience in providing industrial and manufacturing pest control. As well as ISO9001 accreditation we are regularly assessed by Constructionline and Chas. As well as the risk of fire or production coming to a standstill from rodents gnawing at electric wiring you need to consider the wellbeing of your staff. Rats and mice spread diseases such as food poisoning and Weils disease and therefore you must show due diligence and be seen to be acting to clear an infestation by law. By having a regular industrial manufacturing pest control contract with Beaver Pest Control London you will be able to work with us through an integrated pest management system to reduce the risk of an infestation. We will inspect your premises on a regular basis and install early warning detector systems. If we ever find evidence of pests or you report sightings of pests then we will take immediate action. We will work with you as a team to make sure entry points are sealed wherever possible and that any suspected harbourages or sources of food are removed. We can also install strip curtain doors and fly screens to help keep the heat in but the pests out, including birds.